... why Jeb Bush & John K-sick failed miserably? the paradise that K-sick preaches, is actually hell on earth, to which the children of Cincinnati can bear witness. in the United States ​actually makes K-sick acceptable among a certain segment of American society. What saves America is that that segment of American society that embraces K-sick is too small to influence the national discussion on a sustained basis. The revulsion against the 'desperate four' has given Trump the nomination, and unearth an undercurrent of American political opinion that demonstrates that nearly one-half of Americans agree with Trump's proscription for curtailing Muslim immigration, and policing 'Muslim neighborhoods in the United States. If there is a bight side it lies in the fact that an undercurrent is now the political discussion of this election. ​K-sick, still believes that he somehow will emerge as a political force in America, and even as the vice-presidential nominee, when in reality his political career is all but over. And, America is saying good-bye and good riddance to another illiberal parading as a patriot.
" 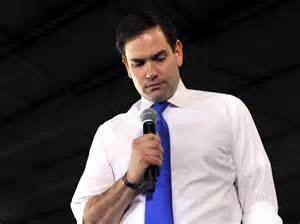 ... K-sick is polling in the Republican presidential candidate's race ... more than he deserves." Jeb Bush, was the heir presumptive (conferre, heir apparent) for the nomination of the Republican Party to oppose the Democrat heir presumptive candidate, Hillary Clinton, in the 2016 US presidential election, if one was inclined to believe the sages at Fox News and within the Murdoch sensational tabloid press empires. ​Broadly speaking, the American people have grown tired of political dynasties and political leaders enriching themselves and their friends, while 52% of American families have an annual income of $32,000 or less, schools for the vast majority of Americans are underfunded, understaffed and under attack, our infrastructure is crumbling and the war on drugs (the longest and most costly war in American history) fills our increasingly privatized jails with users and minor distributors, while the major growers, industrial scale producers, importers, and the banks, public officials and businesses who hide their ill-gotten money from that illicit activity, go untouched. In an attempt to distance himself from the foibles of his brother and father, GW and GHW Bush, respectively (and perhaps, the Hollywood portrayal of his grandfather in the film, The Insider), Jeb Bush took the bull by the horns, so to speak, and in a much publicized speech announced that he was his own man. Whereas, outwardly the truth of that statement is undeniable, since in America everyone must stand before the law and in the belief system of most Americans before their maker in their own shoes, nonetheless, his statement like his brother's Axis of Evil Speech, is full of sound and fury, but signifies nothing. In just over six months, on the first Tuesday in November 2016, Americans will go to the polls and decide who will be inaugurated President of the United States in January 2017. Nearly two years ago, the Republican National Committee (RNC), in one of the most thoughtful documents ever produced by that body, published an analysis of what it would take for the Republican Party to win the 2016 presidential plebiscite, to regain the presidency. The areas of red and blue, that is, the demographic electoral map of Democrat and Republican voting patterns in the United States, in presidential elections, have not changed significantly since the election of 2004. Voting patterns, in presidential elections, have not changed significantly since the election of 2004, the operative phrase being, in presidential elections. 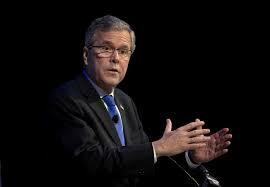 One need not dwell upon the role that Jeb Bush played in that presidential election. McCain was defeated in 2008 and Romney in 2012. Interestingly, Romney garnered seven percent (7%) less votes than McCain had in several key states, including the State of Ohio. There is no indication that any of the current Republican hopefuls has, or will, pay much attention to the election analysis produced by the RNC, and that will be to their utter detriment. When all is said and done, it is not unreasonable to conclude that the Romney campaign for the presidency in 2012 was mortally wounded by the toxic nature of Ohio Republican politics. By name, John K-sick, John Boehner, Rob Portman and Bob Bennett. The truth of the statement that when the problem starts at the top there is no one to tell is borne out here. Perhaps, in retrospect, if the toxic nature of Ohio Republican politics had been isolated at the titular tip top, the grassroots of the party could have maintained a positive rapport with the Ohio electorate. However, the debasing nature of those within the party hierarchy permeated every level of its structure from the State Central Committee down to the individual county chairs. 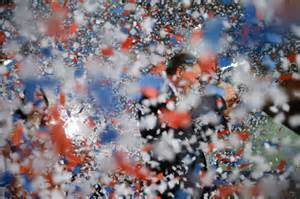 It is perhaps telling that Cleveland was chosen as the site of the next Republican National Convention. It was in Cleveland that the Ohio Republican Party (K-sick, Bennett, Price and Mandel) ran one of the most racially divisive billboard campaigns in the history of US presidential politics during the 2012 election. An answer to the question as to why Portman, given the necessity for Romney to win Ohio, was not chosen as Romney's vice-presidential running mate has never been forthcoming, properly (see the article - Insanity - for further details). But, the answer centers on the fact that Romney did not appreciate the way he was finessed into the vile nature that surrounds the party in Ohio that once bore the proud names of Abraham Lincoln and William McKinley. And, this is the specific reason for Jeb Bush's current downfall and electoral demise. The most important talent that a president must have is the ability to weigh intelligence and the advice that comes to the president from every quarter imaginable, discern the good from the bad, and make wise and appropriate decisions. After 9/11, while GW was still coming to grips with the enormity of the changes that the attacks on New York and Washington were presenting, Secretary of State Powell instituted a plan to make travel from and to any of the countries whose citizens were implicated directly or implicitly in those attacks, very difficult. So much so, that those affected began to put pressure on the radicals in their own countries to back off. Because the travel restrictions had been so well implemented, they had reduced trade with those countries from a flood to a trickle, bringing business in those counties to a near standstill. In a word, the policy was working and working well. I am my own man, Jeb Bush's brother GW, was approached by several American business interests (some of the same business interests that began to bankroll Jeb's campaign immediately after he announced his intention to explore the possibility of a presidential bid) and asked to have Powell back off the travel restrictions. He did, Powell obeyed and the floodgates of Islamic radical bombing campaigns and shootings followed. GW chose to serve and protect the interests of the few, while most Americans believe that sacrifice is the foundation of patriotism. This gross miscalculation by GW to protect the money interests of a few of his big financial supporters, more so than the UN weapon's speech, led to Powell's decision not to serve a second term. The intelligence concerning the toxic nature of Ohio Republican Politics, K-sick and his minions, from this author, which Jeb chose to ignore is indicative of his current campaign prospects. In fact, the Ohio cabal had already finessed the Republican National Convention to Cleveland before Jeb could even get started, and for the specific purpose of showcasing themselves. But, of course Boehner's obstructionist days are at an end. Except for the fact that Paul Ryan has kept his promise to Boehner to lead the charge against health care reform, just one more time. Within the circles within circles within the upper chambers, K-sick is dubbed for the author of the quote ~ It is not enough that I succeed, but everyone else must fail ~ and for good reason. Donald Trump recently suggested (in response to some rather under-handed remarks K-sick made about him before Trump was due to make a speech in Columbus, Ohio) that K-sick's is polling in the Republican presidential candidate's race was more than he deserves. ​K-sick has been something of a poster child on the Fox network, but few could not but cringe when K-sick, in a staged Fox news/talk show, stated that he could fix the deficit in eight years. One might notice that there has not been much talk about the deficit lately, not since some rather good reports have come forward from both left and right leaning economists that have put the deficit in perspective, and largely taken it out of the realm of anti-Obama hysteria. K-sick says he can fix the mythical deficit, but he did nothing as the governor of the State of Ohio to forestall Cincinnati from becoming the childhood poverty capital of the United States. Although counterintuitive, the alarmingly high rates of childhood poverty in Cincinnati under K-sick, however, makes perfect sense. The tragedy for America, however, is that demonstrating a willingness to continue the planned creation of a permanent underclass in the United States ​actually makes K-sick acceptable among a certain segment of American society. ​It is interesting that the recent slayings at the church in South Carolina were triggered by a centuries-old hatred that permeates South Carolina, while the very fabric of America is under threat by an enemy that does not recognized that shooter as fit to live among them. Well, K-sick has shown that same level of ethnic insensitivity, and he should do well among his kindred spirits in South Carolina. But, as those outside of Ohio will come to realize, the paradise that K-sick preaches, is actually a hell on earth. K-sick boasts of a balanced budget, while two of Ohio's largest cities have the highest childhood poverty rates in the United States, at least, now we know how he did it. K-sick began his term as governor, after calling a state trooper an idiot, in a battle with ethnic minorities in Ohio and since that unpropitious beginning K-sick has done everything he could to teach the ethnic minorities of Ohio a lesson. That lesson has been dished out by one of the most ethnocentric state administrations in Ohio since the Civil War era. While childhood poverty grew alarmingly in Cincinnati and throughout the State of Ohio, K-sick dolled out billions to businesses from state funds at rates and under terms that even the Fed found to be overly generous. And, K-sick's generosity with taxpayers money was in direct opposition to the Fed's attempt to reinvigorate the banking industry. While this author, as did the Dayton Daily News, mulled over the breadth and width of the K-sick handouts, which K-sick said was necessary to keep the recipient businesses in Ohio, we discovered companies like Bob Evans on the list. The justification for such handouts is unsupportable. But shows that he learned nothing about the respect he should have for other peoples money, and has continued the same disregard as when he helped to trigger the economic crisis that resulted in the Great Recession. K-sick is Wall Street and a more sinister example of it, is near unimaginable. It may be okay for Jeb Bush to ignore good intelligence now, but in the White House, it is a different matter altogether, and has resulted in the electorate asking the big question, is Jeb up to the job. And, the public's answer to that question is reflected in the polls, as it is for the illiberal rhetoric spouting Ohio governor, John K-sick, 3% and 2% respectively. If Jeb Bush wants to revitalize his dwindling prospects, he must stop making the kind of speeches and expressing the brand of logic that exhibits an utter lack of understanding of the issues involved. That is, he must stop making the kind of statements that have become the hallmark of Secretary of State Kerry. Kerry's statement that Putin wants to re-establish the Soviet Union, is just one of many telling examples. Kerry's handling of the Ukraine, Iran and Syria is not a matter of misjudging good intelligence, but the lack of an ability to sort the signal from the noise. Jeb Bush and Secretary of State Kerry, stating the obvious, did not invent, nor do they have a monopoly on the inability to discern good intelligence. ​Recently, President Obama stated that a few (this author among them) had suggested that we (the US) should be in Syria in a substantial way. However, the president's civilian and military advisers concluded that that would be a mistake. In fairness, the president did then state that "if anyone had a solution, I will listen." Ten years ago (2005) another occupant of the White House made a similar, although not as public an offer. In an executive summary, which has now been sent to the current occupant, this author suggested that we (the US and our allies in the fight to contain terror) should be prepared, under certain contingencies, to put an occupying force in place that might have to be in place for decades. The response to that suggestion by that president's civilian and military advisers, was that whereas there was some merit to such a plan, it was not practical or necessary to assemble a force to contain a problem which will not continue to be a problem for even one more decade, no less many decades into the future. Therefore, to assemble a force to be in place for many years to solve a problem that given the scale of the resources that have already been employed to contain it, can only continue to be a problem for a few more years, at best, is unwarranted. File closed. Unfortunately, for US and world security, that group of civilian and military advisers, ten years ago, were middle level advisers, and today, they are now the senior civilian and military advisers upon which the president relies for tactical and strategic planning and intelligence. The advice that these civilian and military advisers gave to GW - that the campaign of terror could not be sustained for another decade is the same advice that they are giving to Obama today. They were wrong then, and they are in error today. Perhaps, Benjamin Franklin said it best, "When you assemble a number of individuals to have the advantage of their collective wisdom, you inevitably assemble with those individuals all their prejudices, their passions, their errors of opinions, and their selfish views." However much one would like to assume (hope) that these same civilian and military advisers could put aside their prejudices, their passions, their errors of opinions, and their selfish views, and live up to their sworn responsibilities to the security of this nation, that remains an assumption and a hope, at best. And, after all, in less than a decade, given the resources that we are pouring into the fight against terror, the problem will be solved. File closed. Midterm elections aside, the actor and end-child-hunger activist Jeff Bridges, in a recent interview, summed up the unholy nature of Boehner-driven majority congressional politics with sublime eloquence. Childhood hunger in America had become endemic by 1984, after several years of the Reagan/Bush administration's consistent policy to cut funding and programs for cities, other than to those directed towards downtown development. Bridges explained why he abandoned the Congress, after discussions with Boehner and other Republican leaders, as a meaningful way to fight childhood hunger in America, in favor of working with the state governors (K-sick) was not one of them) in a way that is far beyond this author's meager ability to add or to detract. And, for Jeb Bush, that analysis should prove prophetic. After the Republican hopefuls have considered the RNC report (which they will not do), there will be ample time to discuss its importance over the ensuing months. The economy, police/community relations, unfunded legislation to address military suicide deaths, world events and the wars (they always start with a few military advisers being sent in), and of course, the late in the presidential campaign season awkward speech before the NAACP, will fill the gaps in between. And, that's your mulligan, Mr Jeb Bush. Post script: Jeb Bush ignored the advice, intelligence, given here in favor of information he received from K-sick and the ORP, and his resultant downfall was, therefore, inevitable. ​It has been said before, those who foolishly sought power by riding the back of the tiger, wounded up inside.